Many students have a veteran in their lives or at least have heard of Veteran’s Day before, but do they know what the holiday actually represents? This lesson includes a video on what it means to be a veteran, activities about the military, what freedom means to us and a trivia game to test students’ knowledge about the holiday. To use this pre-made interactive whiteboard lesson click here. 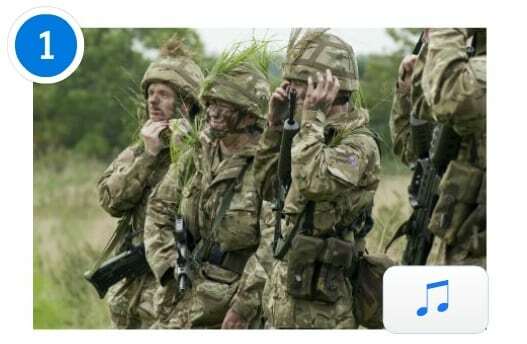 Start your lesson with a video, explaining exactly what a veteran is. This 14-minute video includes the historical background of Veterans day and how it developed into a national holiday. It also includes interviews with two veterans connected to the MCHS family detailing their personal stories of how the military has impacted their lives and what Veterans Day means to them. 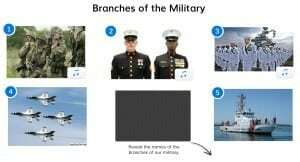 Do your students know the Branches of the Military? Test it with this short quiz. 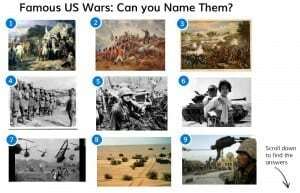 Another test is to figure out which pictures match a Famous US War. Let your students pick one image and make them explain which war the picture represents and why. Ask your students the question: What things can you do in a free country? Mention all ideas in a word spider on your smart board. Decide together for which reasons we Celebrate Freedom. You can use this section as a writing assignment. This 15-minute video was created as a thank-you to all of our veterans, past and present. After watching the video, ask your students: What words describe how you felt as you watched the video? 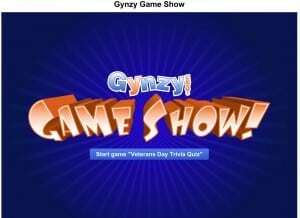 Lastly, play this special themed version of our Gynzy Game Show as a fun and interactive end of your Veteran’s Day lesson.